As environmental impacts unfold in Hawaii, I’iwis’ seasonal migrations turn deadly. The scarlet I’iwi is hard to miss, standing out vibrantly against the deep green backdrop of Hawaii’s foliage. The native bird, a Hawaiian honeycreeper, fits gracefully into its natural habitat. 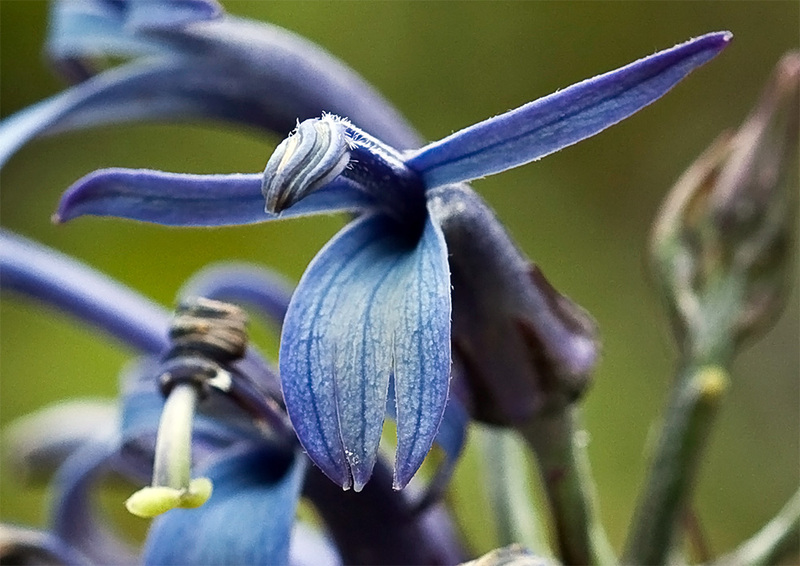 Its curved bill, for example, matches the shape of the native ‘Opelu flower, which makes for easy nectar-sipping. But as environmental impacts turn the seasonal migrations deadly, the I’iwi, classified Vulnerable on the International Union for the Conservation of Nature Red List, is at risk of extinction. Avian malaria was introduced to Hawaii around 1826. The disease is carried by mosquitoes and is deadly to many of Hawaii’s birds. Avian malaria is thought to be the most urgent threat facing the I’iwi, which is being considered for listing under the Endangered Species Act. Today, invasive feral pigs and climate change are creating conditions that favor mosquitoes and put I’iwi at higher risk. Avian malaria is spreading in Hawaii as the islands become increasingly hospitable to mosquitoes. Mosquitoes need standing water to lay their eggs; feral pigs dig wallows, which collect water and turn into stagnant muddy pools–very attractive to mosquitoes looking to lay eggs. Meanwhile, the range of suitable habitat for mosquitoes in the region is expanding. Human-induced climate change is causing temperatures to rise globally–including in Hawai’i. I’iwi populations in the lowlands are disappearing as a result of Avian malaria. These and other native birds of Hawaii are more likely to avoid contracting avian malaria when they are in the higher, cooler regions of Hawai’i. However, this mosquito-free range is ever-shrinking as temperatures rise. Of all the honeycreepers that have been tested, I’iwi are the most vulnerable to Avian Malaria. Current optimistic projections hold that I’iwi will be on the verge of extinction shortly after the turn of the century. 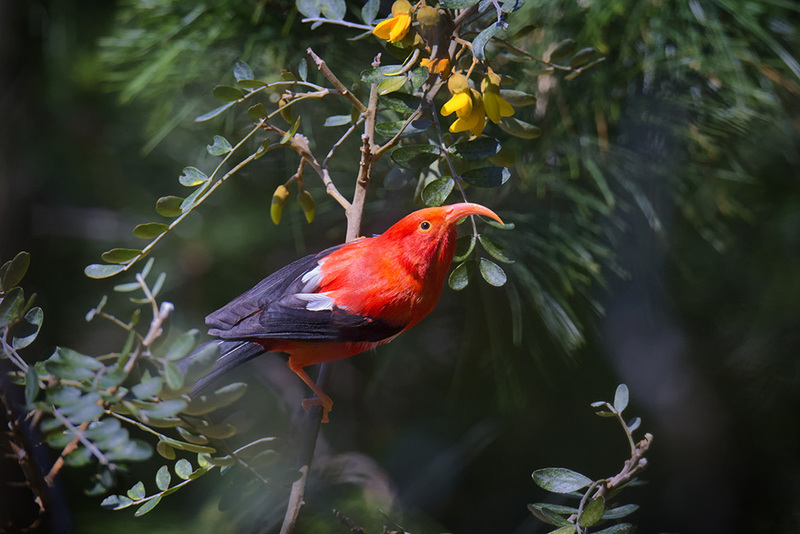 A team of researchers equipped with state-of-the-art monitoring technology initiated a study of I’iwi in the Hakalau Forest National Wildlife Refuge. 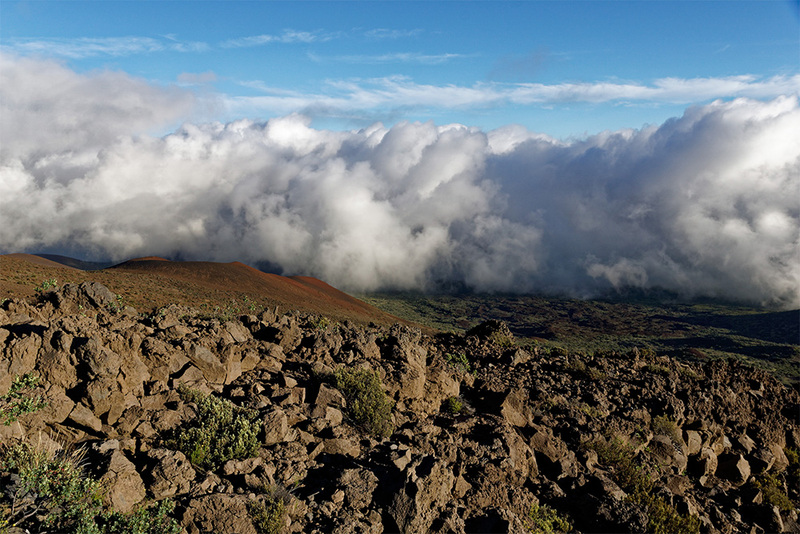 They trekked along the slopes of Hawaii’s volcano, Mauna Kea, and flew planes above the region to collect data. Their goal was to assess the threats to the I’iwi and find out how conservation could reroute the road to extinction that is so rapidly unfolding before the scarlet birds. 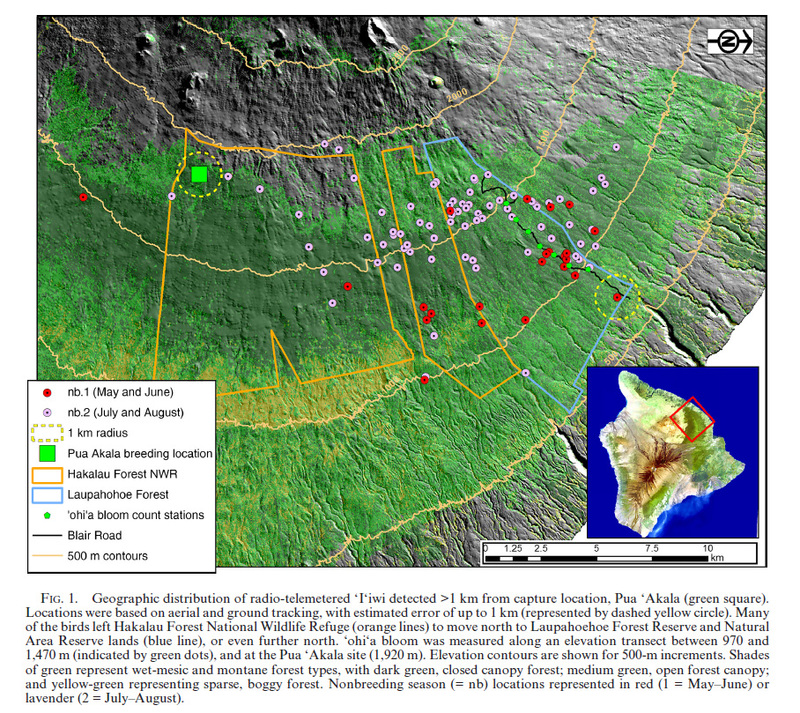 The researchers secured radio transmitters to 56 I’iwi. The transmitters give off unique electromagnetic radio signals, which enables researchers to track their movements. 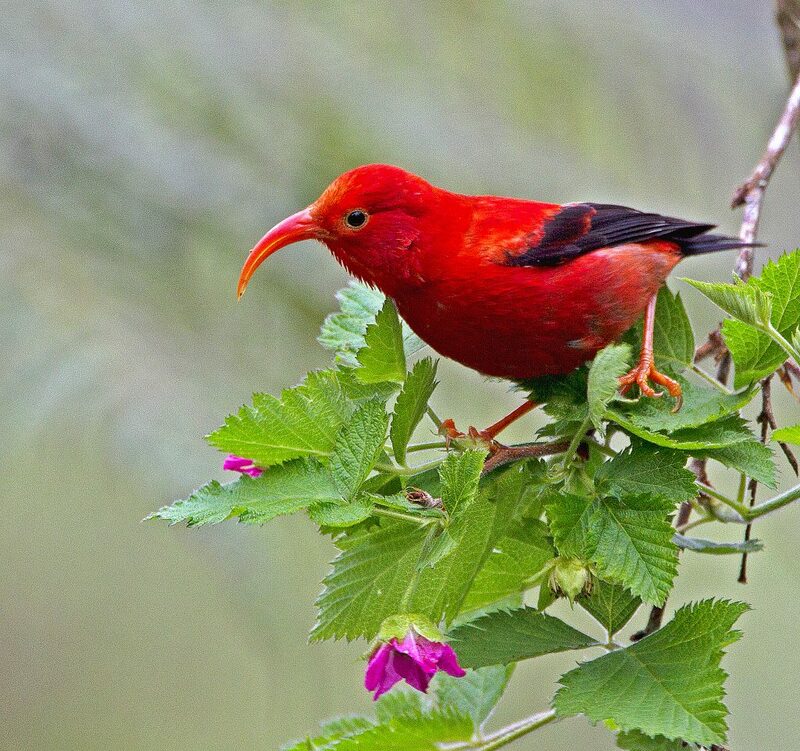 In addition to radio telemetry, the researchers designed a spatial model, “Models for Avian Management Optimization” (MAMO) to simulate Hawaiian honeycreeper behavior. Researchers can observe how the “e-birds” behave to better understand how management efforts will play out in changing environments. The simulation can thereby guide conservation actions and decision-making. The aptly named tool references the Mamo, a Hawaiian honeycreeper that succumbed to extinction in the 19th century. 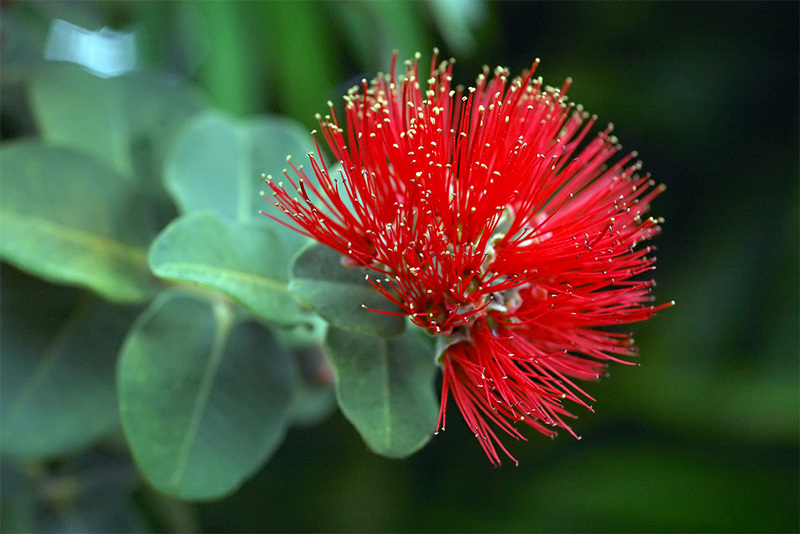 The researchers compiled their data and showed that I’iwi migrate in response to ʻŌhiʻa blooms, making seasonal migrations to drink nectar from ʻŌhiʻa flowers, which for some birds means spending more time in lower elevations, where the risk of contracting avian malaria is heightened. A multi-pronged conservation approach can help to slow down the I’iwis’ population decline and perhaps eliminate the threat of imminent extinction. First, support I’iwi survival and population growth–the larger the I’iwi population, the better chances the birds have of developing genetic resistance to avian malaria. The more individuals are in a population, the more genetic diversity there is. The more genetic diversity there is, the higher the probability that new traits will start to emerge over generations. Emergent traits that favor the I’iwi’s survival–such as resistance to Avian Malaria–could proliferate throughout the population. Managing invasive species impacts is a much-needed approach to protecting I’iwi. Not only do invasive feral pigs create breeding centers for the disease-carrying mosquitoes, but they also uproot seeds and seedlings that would have provided nectar resources for the I’iwi. The researchers highlight the need for land managers to work beyond the boundaries of designated protected areas–I’iwi are recorded flying and foraging beyond the borders of the Hakalau Forest National Wildlife Refuge. While conservation efforts have been focused on higher elevations, restoration is urgently needed at lower elevations where the birds spend time foraging. The researchers recommend control of invasive feral pigs and planting drought-resistant plants at high elevations, where rainfall is limited. As a temporary support, artificial feeders placed in the safe upper elevations could also provide a new and safe source of nourishment. In the MAMO simulation, artificial feeders, combined with other conservation measures, could help by buying the I’iwi time, giving them a chance to survive and successfully reproduce. However, this method requires further investigation to avoid causing dependency. Taken together, these conservation interventions could prevent the extinction of the I’iwi. In the meantime, the scarlet birds will continue to follow their instincts, making dangerous migrations to their preferred sources of nectar. 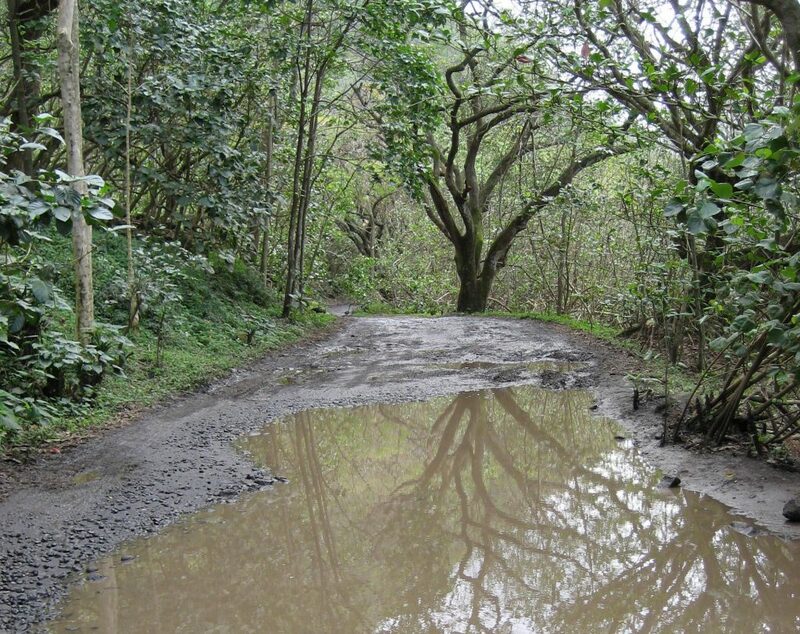 Flashes of scarlet wings still accent Hawaii’s lush rainforests and scrubby slopes. The I’iwi has not yet joined the list of Hawaii’s extinct honeycreepers–and conservation can keep it that way.